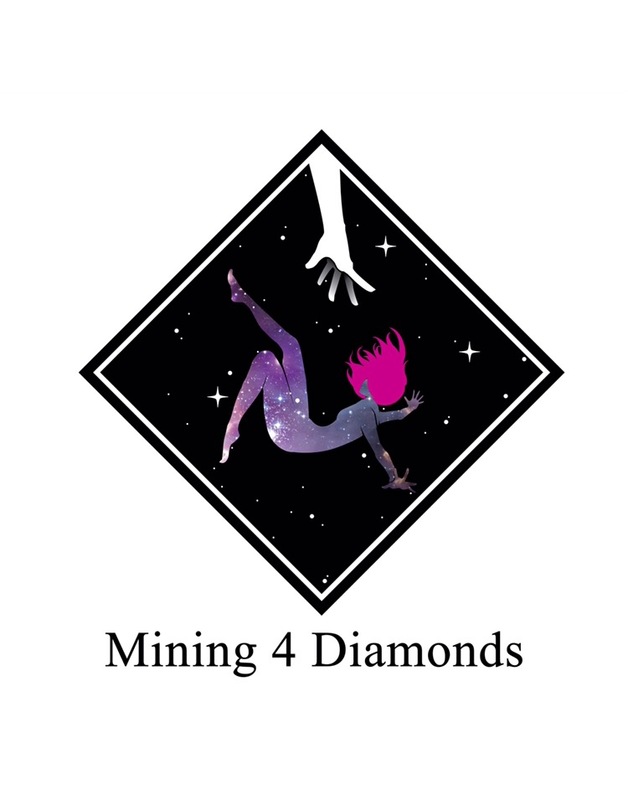 Welcome To Mining 4 Diamonds! “Are you tired? Worn out? Burned out on religion? Come to me. Get away with me and you’ll recover your life. I’ll show you how to take a real rest. Walk with me and work with me—watch how I do it. Learn the unforced rhythms of grace. Everyone endures suffering. Connect with the God who understands. Mining 4 Diamonds is a digital testimony that no matter what trouble comes your way, you are loved, protected, and empowered. Dig deeper. Connect. Rest. Believe. "Getting lost is a good way to find yourself." Please don't think, by any means, that I have my life together. There have been several times where I didn't know where I was going with this. But I couldn't exactly see my path either. 2016 was my unexpected turning point. 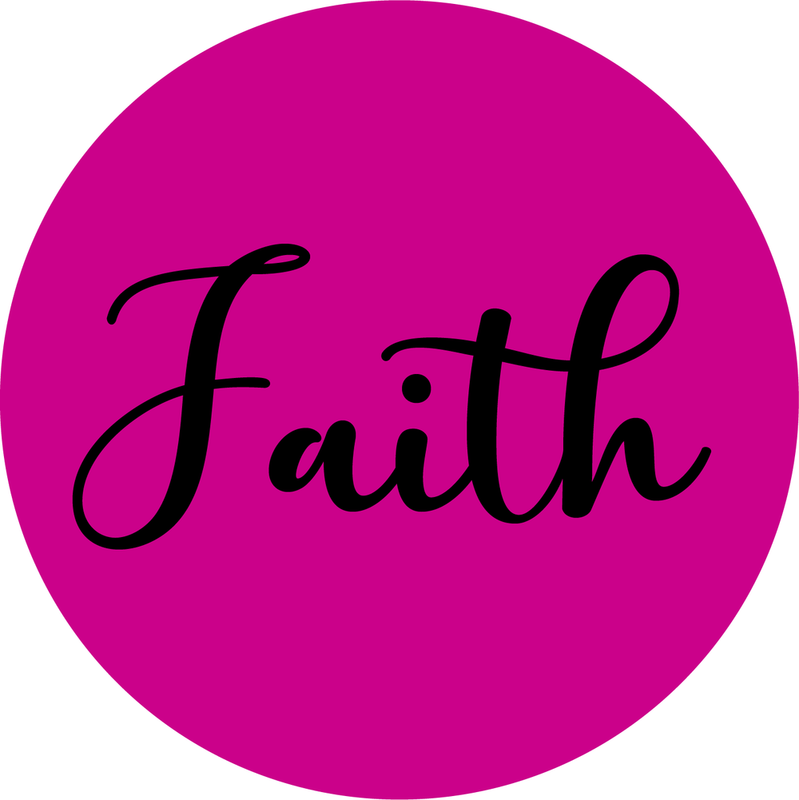 I started out as an entrepreneur stepping out on faith and ended up jobless, disillusioned and slightly isolated. I no longer knew what I wanted for myself. Those words were spoken over me in early March of 2016 and at the time, I didn't know what it would mean for me in the days to come. You are not lost. You are very much found. You haven't lost your way. It seems like you're going through a forest where the branches have gotten tangled and you can't see the path. But keep looking up. Keep looking up because through the branches you will see the stars, you see the moon, and you know where north is. So keep going forward. Keep putting one foot in front of the other. You are not lost. I thought I was doing quite lovely. How could I have possibly anticipated that the beginning of my 6-month downward spiral would commence the very next day? Just to name a few things. I suddenly felt like a failure. I felt like I was disappointing God left and right. I couldn't see myself clearly enough to recognize that my emotional mess could no longer be swept under the rug. I had to face these things but there was only one way to do it. I knew who God was when the year started. I knew that He had a purpose and a plan for me. He even proved that He was on my team by warning me about the upcoming trials I'd face. So why should I beat myself up about everything that was going wrong? All I really had to do was look up and keep going. I was not lost. I was growing. I was healing. Dear Diamonds, one thing I've learned about life is that things are constantly changing. What is not growing is dead and when you call on God to help you improve, He's going to do a thorough job of removing the weeds. It can be painful and a bit distorting, but all of these things are done in love. In that love, there is COMFORT for every transition. In that love, there is GRACE for every mistake. In that love, there is STRENGTH for the places where you feel the weakest. You are the most loved and impressive work in progress. You don't need to have it all together. It's okay to feel a little crazy. Us humans often forget that trust and faith do not come with a scroll of instructions. 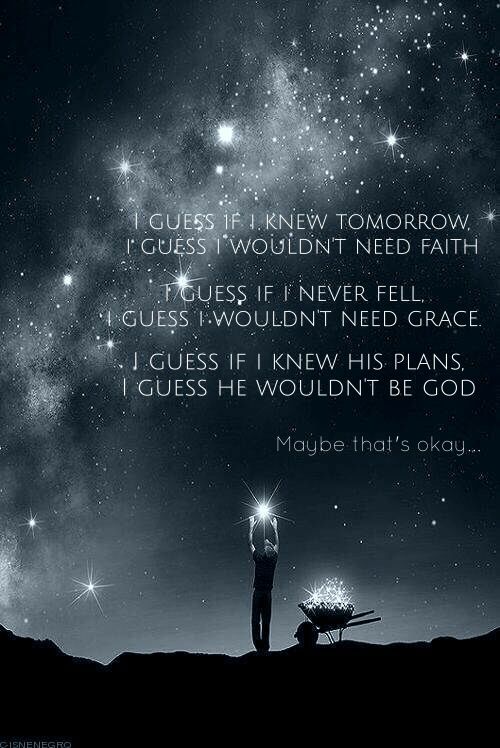 There's a song by Jon Bellion called "Maybe IDK" that hits it right on the head for me. I look back at those tumultuous 6 months and I see a completely different woman. Someone who is a lot more humble, compassionate, peaceful and FAITHful. I see an increase in my FAITH. This isn't the first mess I've gotten myself into and it won't be the last mess God gets me out of. And while I may not know about tomorrow, I know I'm praying today. Remember that you know where north is. And if you don't, I'm telling you that all of the solutions you are seeking are only one prayer away. Now THAT'S how you sleep easy at night. So if you're like me, and this post spoke to you, don't waste any more time worrying. You've already come a long way. There's still more road to go. There is still fight in you. So GO! Act like you know. I respect your privacy and won’t spam you, I promise. Thank you for your subscribing! As we journey together, I hope to provide you with the tools you need to be encouraged, expressed, and enlightened.